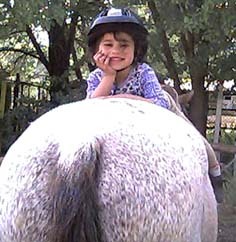 Therapeutic Riding, also known, as Equine Assisted Therapy, Equine Facilitated Therapy, and Riding for the Disabled, is the use of the horse and equine-oriented activities to achieve a variety of therapeutic goals, including cognitive, physical, emotional, social, educational and behavioral goals. Therapeutic riding is practiced in some form in most countries in the world. Great Britain formed the Riding for the Disabled (RDA) program initially to promote competition and equine sports for the disabled. Germany and Switzerland have been in the forefront of developing and establishing Hippotherapy as a medical model of equine-assisted therapy. The North American Riding for the Handicapped Association (NARHA) in the United States puts forward a model that incorporates therapy, education, sport, and recreation/leisure activities. At some centers, the emphasis is on learning riding skills and using these skills for recreational or sport purposes. These would include trail riding, driving, vaulting and competition. An emphasis on education and/or psycho/social development usually includes educational, behavioral, social, and emotional growth. Specific goals in these areas are incorporated in the standard riding lesson. The therapeutic/medical model integrates principles of medical and/or psychological development into various uses of the horse. In this case, the use of medical practitioners such as physical therapists, occupational therapists, psychologists, speech therapists and others become an important part of the program. A specialized form of therapy called Hippotherapy is sometimes employed by physical, occupational and speech therapists who are trained in this area. Many centers use an integrated approach, involving all three of the above approaches. 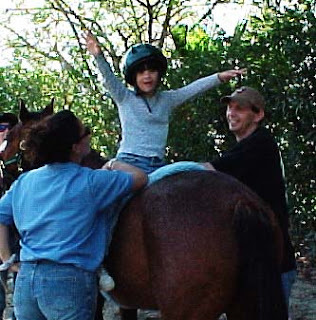 Most centers, as well, use a team approach to therapeutic riding. The team consists of some or all of the following: riding instructors, volunteers, educational specialists, behavioral specialists, and medical professionals. 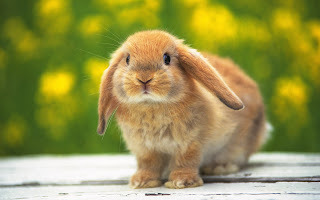 If your family's set on getting a rabbit, start by giving a chocolate bunny or a stuffed toy for Easter and, if your young children are really serious about it, a book on rabbit care. 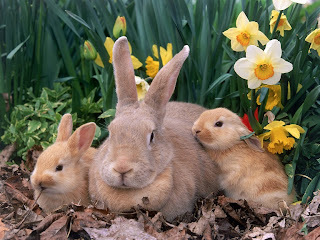 If they're still begging you for a bunny after the holiday has passed, go to your local shelter or rescue group and find out how to adopt a rabbit (or even better, a bonded pair) of your dreams. For info on bunny care and rescue groups, head to the House Rabbit Society.